There is no other way to describe the situation in South Korea when it comes to cryptocurrency other than extremely chaotic. There is a very difficult situation taking place in that region with a large number of business ventures looking to get involved in cryptocurrency and government officials who have been accused of trading without permission. Things are definitely not looking good for the cryptocurrency movement in this area of the world, but hopefully something will come to steer things in the right direction. There seem to be many problems ahead for those who support the use of cryptocurrency. 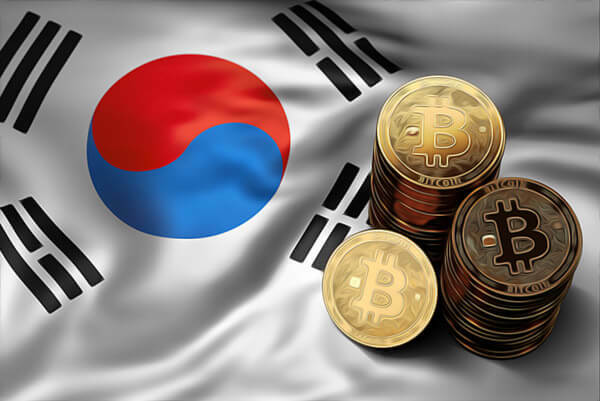 The South Korean government has undertaken the first activities to restrict the use of these currencies; and Bitcoin has been the first to react losing value. This is a big problem due to the impact that a single country can have if they reject the use of a coin, if this continues to happen in other areas, it could really hurt the value of these currencies. A recent report from the news agency Reuters has revealed how the authorities of that nation have expressed their intention to ban this type of currency. To the couple that have mounted raids on cryptocurrency exchange business, claiming its first victims. The Government argues that the use of these systems constitutes a crime potential, for its ease of use for money laundering and tax evasion. There are valid points to their concerns, but the process of regulating the coins could be a better alternative. To make matters even worse Park Sang-ki who happens to be the Minister of Justice has confirmed that the government has already prepared a draft law, to prohibit trade in cryptocurrency in national exchange houses. This is going to be a very difficult time for the currencies as this could unleash a very serious problem for them. It seems like all levels of government concerned would be involved in the development of this initiative. This will require the vote approving the majority of the 297 members of the National Assembly of the country. It seems like the approval is going to be taking place, but this might take years if it does happen. In other words. It is a process that could get stretched out significantly but the announcement was more than enough to disrupt the value of Bitcoin in one of its most important markets. That is the main reason why you need to consider this to be an excellent way to get results. After the beginning of actions and the announcement of the project, the local price of Bitcoin fell 21% and this is definitely a concern for the entire market and for all of the investors who might see fluctuations that could cost them a fortune. This regulatory measure extreme has had an impact on the global behavior of the cryptocurrency, and has already fallen far more than 8%. It is, in fact, the largest fall of the cryptocurrency so far this year. The biggest problem is that it could get significantly worse. This has proven to be a very delicate situation and the kind of actions taken by South Korea are going to be a huge determining factor in the future of cryptocurrency worldwide. The price of the Bitcoin came to fall quite a bit in the American Bitstamp platform during the hours of negotiation in Asia. 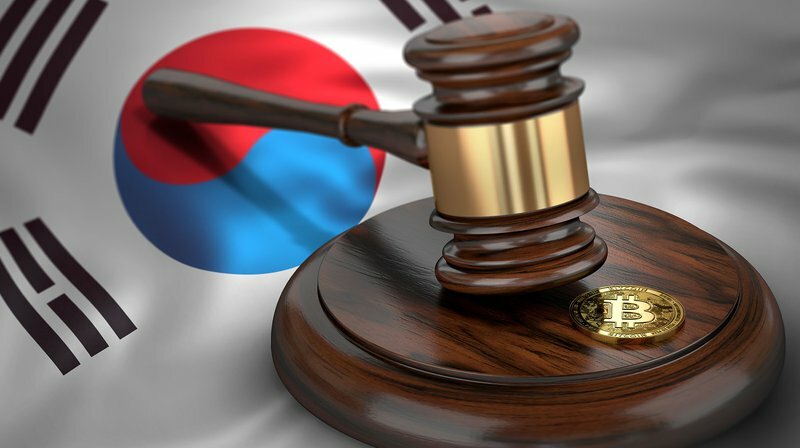 The South Korean minister of Justice, Park Sang-ki, it was recognized that the digital currencies are proving to be a great concern for safety and this is the main reason why the government is taking serious action to see what kind of regulations allow the currencies to remain active. The announcement comes a day after the South Korean police and the local tax authorities conducted raids in the main cryptocurrency exchange houses in the Asian country as they have been suspected of tax evasion and this is yet another issues that is going to make things harder for the cryptocurrency community to catch a break. The dramatic evaluation of the Bitcoin in 2017 has fueled the demand for cryptocurrency in South Korea, where, according to the latest polls one out of ten citizens has invested in this type of asset, a strength that has awakened fears to be triggered a criminal use of these coins. This is definitely a concern for the community as well. The use of cryptocurrency has become a common means of payment in South Korea and Japan too. This is the reason why the South Korean government is opting for stricter regulation of cryptocurrency since last September and have banned the ICO’s from several different business ventures until they can figure out what the best course of action could be for these digital currencies. The cryptocurrencies have also become a way to place savings or pension fund before the tiny yields of other investment assets. Analysts warn, however, to investors of any possible effect that will get a bubble to burst, as the sharp increase that is seen in the price of these currencies is not truly a reflection of its real price, so there is a risk of a sharp and hard fall and this would mean that a large number of people would end up with a bunch of digital coins that have no value at all. To make matters worse, there is an undeniable connection between worldwide price drops on the most popular coins and the lack of acceptance in any country. South Korea could really start a chain reaction that would prove fatal for the future of cryptocurrency, but we just have to wait and see what happens. We suggest that anyone who gets involved with these currencies should take the time to look into this and see the kind of impact that comes from a single country that denies the use of these currencies. This is going to be a critical year for the cryptocurrency world, but some sources believe the impact of a South Korean ban will not be too significant.